How’s that for a title? If it got your attention, that’s good because this topic needs your attention. Thinking back, maybe that’s why they didn’t need to go to the vet all that often. Today, there’s a very different veterinary clinic. It’s true that we now have better treatment options at our disposal, such as MRIs and more technologically advanced surgery. I think it’s great that vets – and our pets – have access to these modern, life-saving tools. But somewhere along the way, the veterinary practice lost perspective. I’m not talking about individual vets; I believe that most of them want to do right by our pets. But the problem is vets have allowed themselves to be influenced by the pharmaceutical companies and the dog food manufacturers – to the great detriment of our pets. The veterinary profession is broken and it isn’t about to change any time soon. Our pets are being over-serviced and we’re getting fleeced. We pay for the unnecessary vaccinations, the overly-processed, synthetic prescription pet foods that contain ingredients from China, and we pay for drugs and chemicals that are damaging to the immune system. The sad fact is, some common veterinary practices are harming our dogs. Vets today have too many drugs, vaccines and chemicals at their disposal and they’re overly willing to dispense them. The worst part is, they hold no accountability for their actions. In short, they can and do ignore vaccine label recommendations or prescribe harmful or unnecessary drugs and we pet owners have no recourse. I believe that the most common and most harmful veterinary practice is over-vaccination. Not only do the vaccines cause a lot of damage in our dogs, but nearly every vaccine vets give our dogs is unnecessary. Pay attention to that sentence: nearly every vaccine given to our dogs is useless – they get no benefit but all of the risk. How could this happen? How can vets cause so much disease and devastation in our dogs without even knowing it? I was taught vaccines were safe and it was implied there had been safety studies done on them before they were used on the general public. They are not safe and there have not been any safety studies done on any of them. I was taught that if something adverse happens within a few hours after immunization it was related to the vaccines but, if it happened later than that period of time, it had nothing to do with the vaccines. The truth of the matter is vaccines can set up a latent condition that may show up within a few hours or years after immunization. My training in vet school was not complete with regard to the harmful effects that vaccines have on the immune system. The scientific evidence was not properly explored by the eighties. Vaccines were designed to help stimulate immunity. Current research is proving just the opposite however. Even my graduate school immunology course (attended mainly by MD students) was incomplete. So here we have a substance that we now know can cause many acute and chronic health issues – even death – and the vets themselves admit that they really weren’t educated in their use. More importantly, because the veterinary colleges are financially aligned with the pharmaceutical companies, most of the curriculum is very pro-vaccine with little time spent discussing the very real issue of harmful reactions. How could this happen? Back in the 1970s, dogs were only vaccinated for one or two diseases. Today, there are vaccines for adenovirus, parainfluenza, bordetella, Lyme disease, leptospirosis, hepatitis, rabies, canine flu, coronavirus – and there are more and more coming down the pipe. Today, dogs and puppies are often vaccinated with seven or more viruses at the same time. It’s been largely acknowledged for the last thirty or forty years that the core vaccines most likely last for the life of the animal. Not only are vets delivering more and more vaccines to our pets, they’re continuing to do so on a schedule that has clearly and consistently been proven to be both ineffective and dangerous. In the 1970s, all vaccines, with the exception of rabies vaccines, were licensed by the United States Department of Agriculture (USDA) based on challenge studies performed from only a few weeks to a few months after vaccination. All the vaccine labels included the statement ‘‘Annual Revaccination Recommended’’ without the knowledge of whether the true duration of immunity (DOI) was a year or a lifetime. So vets vaccinated yearly, even though field observation suggested that immunity after both natural infection and vaccination was long lived. Yet vets continue to send us postcards telling us we need to bring our pets in for even more vaccinations, either every year or every three years. Whichever schedule the vet chooses is a moot point because science shows that revaccination isn’t necessary in most cases. Immunity is like being a virgin – you either are or you aren’t and once you change, there’s no changing back again. Dogs are either immune or they are not, and once immune, there is every indication that this lasts a lifetime. Distemper, for example, has been shown to last for 7 to 15 years. In fact, all of the core vaccines have shown this kind of lifespan. Even those vets who want to do the right thing are vaccinating our pets too often and with too much. As stated above, they’re not prepared to make balanced vaccine decisions because the veterinary colleges rely on the vaccine manufacturers to prepare their immunology curriculum. Clearly, no matter how much pet owners trust their vets, they can’t rely on them to protect their animals from unnecessary vaccination and the damage it causes. But what about the veterinary associations – aren’t they looking out for our pets? Research was initiated at that time to prove his suspicions and dogs where challenged with exposure to distemper, adenovirus and parvovirus, anywhere from 1 to 11 years after vaccination. Every single dog was protected when exposed to the virus. “The results from this limited group of dogs clearly demonstrated the Norden modified live vaccines provided immunity for at least 11 years against CDV and CPV-2″ says Dr Schultz. Task force member Dr Richard Ford, Professor of Medicine, North Carolina State University, said that the decision to recommend a three year revaccination schedule for core vaccines was a compromise. Why do the guidelines state that the immune response lasts at least 5 years (and even this is a serious underestimation) yet vets stick to that magically arbitrary schedule of 3 years? “Both the AAHA and the AVMA must do more to “step up to the plate” says noted immunologist, Dr. Richard Ford. But the reality is, the vets don’t have to listen to the AAHA or the AVMA and it appears the state veterinary medical boards are not interested in enforcing vaccine schedules, opting to leave it up to the individual vet. Why are most pet owners unaware of vaccine dangers? Because vets are led to believe that vaccines are safe, they lead us to believe they are safe. That’s not an excuse. If vets are to take our money for the delivery of medical procedures, they’d darn well better know the safety and efficacy of that procedure. It’s the vets’ responsibility to fully understand the risks and benefits of every medical procedure they perform on our pets and to research it thoroughly. Here’s the most important part: it’s also their responsibility to inform pet owners of the risks and benefits of that procedure. 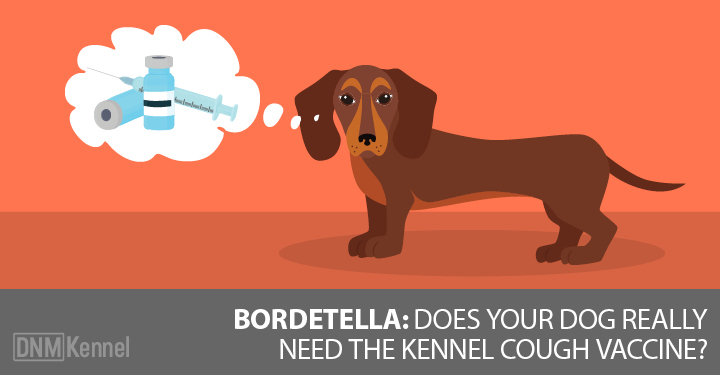 Why aren’t we informed of this before our pets are vaccinated? Every day, dogs are permanently damaged from vaccines and vets continue to urge us to vaccinate without any regard to the potential risks. There are thousands of pet owners with pets dying of cancer or suffering from severe allergies who wish they could turn back the clock and be given a second chance to consent to that vaccination – with their eyes wide open and fully aware of both the risks and the benefits of that seemingly innocuous needle. In human medicine, performing a medical procedure without full disclosure and informed consent would be called malpractice and there would most definitely be a lawsuit. In veterinary practice, this doesn’t happen. Until the mid-part of the last century, the term “malpractice” didn’t even apply to veterinarians (and still may not in some states where this profession isn’t listed under the malpractice statute). Recently, however, veterinarians have become subject to state malpractice actions. Despite this trend, veterinarian malpractice lawsuits still aren’t that common because the measure of damages for the loss of a pet in most states is the market value of the pet. In other words, what someone else would pay for an identical pet of the same age, breed and condition. In nearly all cases, lawyer’s fees would be more than pet owners would be able to recover in court. Also, pet owners have to prove the same things you would have proven in a medical malpractice case, which isn’t always easy or inexpensive. A few states allow monetary damages for emotional distress and loss of companionship. However, awards for an owner’s mental suffering are the exception rather than the rule. So it seems the veterinary colleges can continue to allow the vaccine manufacturers to teach their students about immunology, the vets can continue to deliver unnecessary and dangerous vaccines to our animals without full disclosure of their risks, the veterinary associations will continue to make vague statements regarding vaccine duration of immunity and refuse to monitor the activities of their members, and our pets will continue to suffer because nobody cares enough to do anything about it. Well, that’s not entirely true. I care. I care a lot. And because you’re reading this article, I know that you care too. Just because we can’t sue vets doesn’t mean we can’t sock it to them financially. If we demand informed consent and refuse any and all unnecessary vaccinations, we’ll force vets to look into different revenue sources. Look your vet in the eye and tell him that the repeated core vaccines he is advocating are not only unnecessary but dangerous – and have the paperwork to back it up (just read this article and we’ll give you all you need). Then kindly decline any vaccinations that Dr Schultz’s research shows as unnecessary. There are other ways you can influence vets financially. Stop buying their crappy prescription diets. They’re full of synthetic and processed ingredients that can harm your pet. Better yet, support those vets who don’t push needless vaccinations, overly-processed foods or other harmful pharmaceuticals. The best solution is to give our money only to the best vets who have done their homework on vaccines and immunology. There are many good holistic vets to be found and if we give them our money instead of the vets who choose to over-vaccinate, we’ll force the rest of those vets to also start learning about natural health care. You are the only thing that stands between your dog and harmful veterinary over-servicing. By educating yourself and refusing unnecessary vaccination, you can help fix what’s broken with the veterinary system.